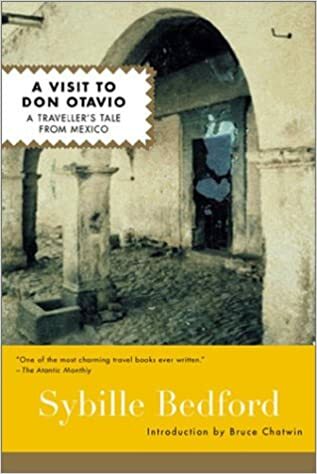 A Visit to Don Otavio: A Traveler’s Tale from Mexico – loudlatinlaughing – Euge! Euge! 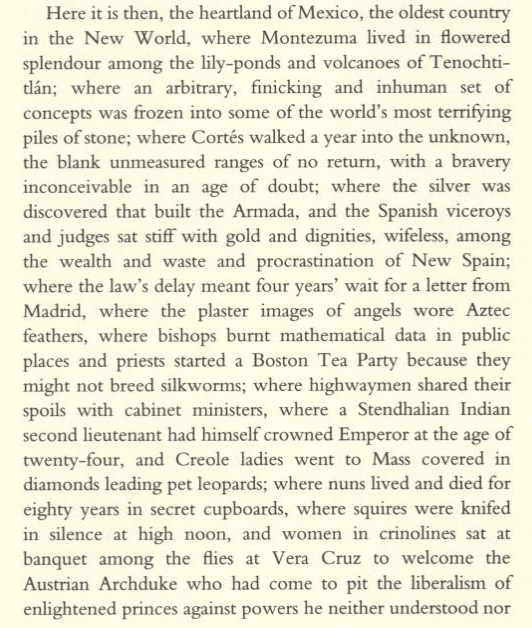 A delightful travel book about Mexico by Sybille Bedford, soaking up as much of the New World post WWII before heading back to Europe. (At one point she considers sailing on a boat from Vera Cruz to Bordeaux that would allow her to take two small donkeys back to Normandy.) Descriptions waft out of her book with the scent of freshly made tortillas, tinkling with the clink of ice in a glass of rum or tequila, sparkling with the frank heat of a noontime sun. Sybille and her friend “E.” (Esther Murphy Arthur) leave New York’s Grand Central and head south by train. I knew I was in for a treat early on when I encountered her acerbic retelling of the various availability of alcohol per state. E. was told to wait until we have crossed the state line. It is all very confusion. Oklahoma and Kansas are bone dry, that is everybody drinks like fishes. In Vermont you are rationed to two bottles of hard liquor a month. In Pennsylvania you cannot get a drink on Sunday; in Texas you may only drink at home, in Georgia only beer and light wines, in Ohio what and as much as you like but you have to buy it at the Post Office. Arizona and Nevada are wet but it is a criminal offence to give a drink to a Red Indian. In New York you cannot publicly consume anything on a Sunday morning but may have it sent up to an hotel bedroom. And nowhere, anywhere, in the Union can you buy, coax or order a drop on Election Day. A book like this makes me want to travel again. Maybe. Author lzPosted on August 19, 2017 October 24, 2017 Categories Reading ArchiveTags YES!